​With the increasing diversity of advertising mediums, it’s become harder to reach a wide array of potential customers through ads. Gone are the days of just television and print ads; although those ad mediums are still powerful, companies have to keep in mind newer forms of advertising too, like online and social media. Although companies have to diversify their advertisements to reach the most consumers, they have the best chance of breaking through the noise if they can make consumers laugh. According to recent research from Clutch, 53 percent of consumers remember and enjoy humorous advertisements. The majority of consumers (58%) prefer TV advertisements over any other medium. 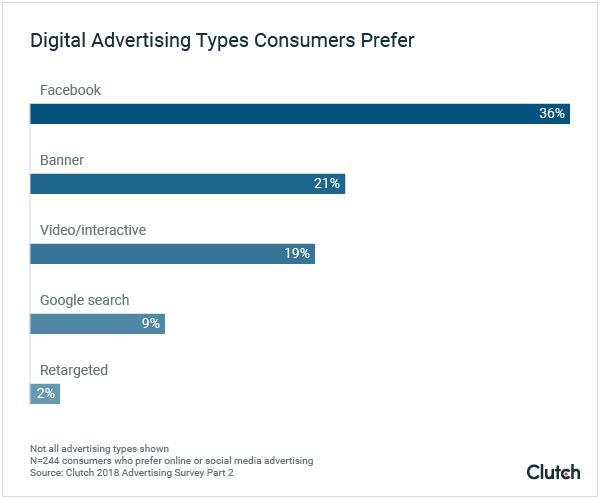 More consumers prefer Facebook (36%) over other forms of digital advertising. About 80% of consumers prefer food and drink/restaurant advertisements over other categories. Males are more likely to enjoy technology (49%) and sports (49%) advertisements, while women enjoy fashion and beauty (69%) and travel and leisure (54%) advertisements. Consumers prefer advertisements that make them laugh; more than half (53%) say they remember and enjoy an advertisement if it is humorous. Consumers prefer advertisements from brands they know and trust (51%). Consumers dislike advertisements because they didn’t learn anything about the products (51%) or the advertisements were unrelatable (48%). ​A successful advertisement relates to consumers and teaches them about the product; consumers dislike advertisements that fail to do so. About half of consumers say they dislike advertisements because they either didn’t learn anything (51%) or could not relate to the product (48%). An advertisement needs to be relatable or it won’t connect with consumers. Consumers also enjoy advertisements from brands they have experience with; 51% say an advertisement is memorable and enjoyable if it is from a brand they know and trust. ​Consumers are more drawn to advertisements from brands they trust because they feel more connected to the products advertised. Trust drives consumers to support a brand and enjoy its advertisements. ​Consumer also enjoy advertisements that are from brands they trust (51 percent) and ones that feature a new product of interest (46 percent). 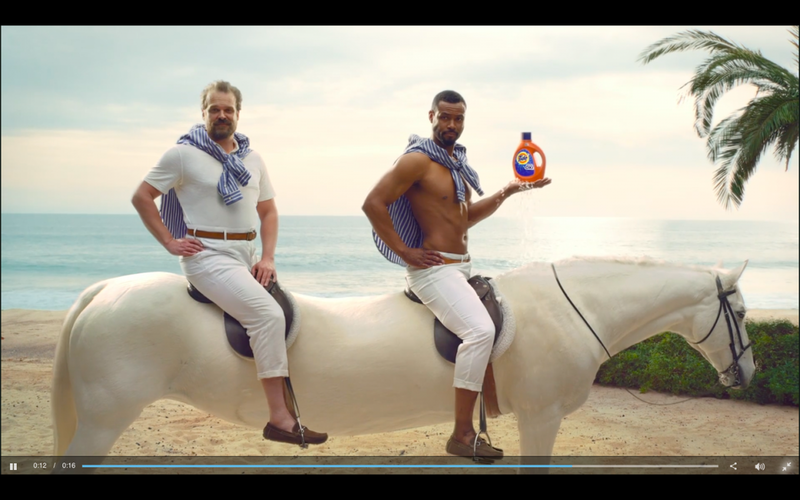 Tide’s advertisements were memorable because they were entertaining – not because they successfully advertised laundry detergent. The company won the Super Clio, an award honoring the game’s best commercial(link is external) and had nearly 164,000 mentions(link is external) on social media during the Super Bowl. ​Humor appeals to consumers because it gives them a break from everyday life. 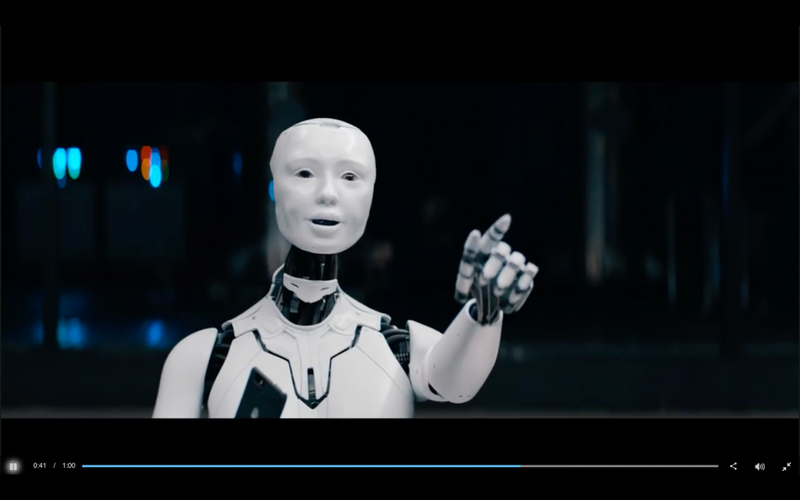 According to Northwestern University’s 2018 Kellogg School Super Bowl Advertising Review(link is external), all six advertisements that received an “A” grade were humorous, including the top-ranking advertisement, Amazon Alexa. 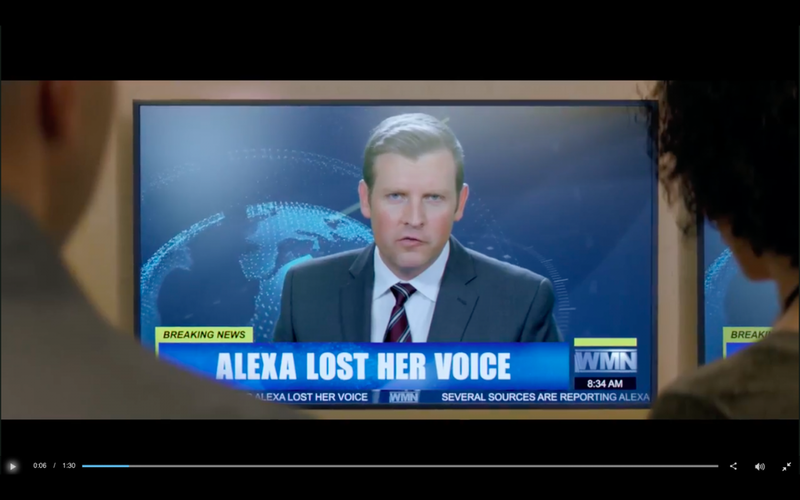 In the advertisement, Alexa loses her voice and is replaced by several celebrities, including Gordon Ramsey, Cardi B, Rebel Wilson, and Sir Anthony Hopkins. ​The advertisement was successful because it “ultimately was fun to discuss and share with those around you,” according to Derek D. Rucker, professor at the Kellogg School of Management. Food and drink-related ads are so successful because they’re in a category that appeals to a basic human instinct: the need to eat. Who doesn’t want to see an ad with some delicious-looking food? Both men and women enjoy food and drink advertisements, but there is a gender divide among other advertising categories: women like fashion/health/beauty and travel/leisure ads, while men enjoy technology and sports/entertainment ads. ​A food advertisement like Pizza Hut’s, with visually enticing food, appeals to a consumer’s basic instinct: the need to eat. ​These preferences in advertising are indicative of each gender’s personal preferences; while women are more likely to enjoy fashion- and beauty-related products, men are more likely to enjoy technology- and sports-related products. Because of this, companies are more likely to target their advertisements toward the applicable gender, which could further the ad category preferences. ​Consumers like advertisements that appeal to their interests. Gender advertising preferences tend to align with gender stereotypes. This alignment, though, may be changing. Because gender stereotypes are becoming less defined, the divide in advertising preferences between genders may not be as extreme in the future. Some companies create advertisements that appeal to both men and women’s preferences. 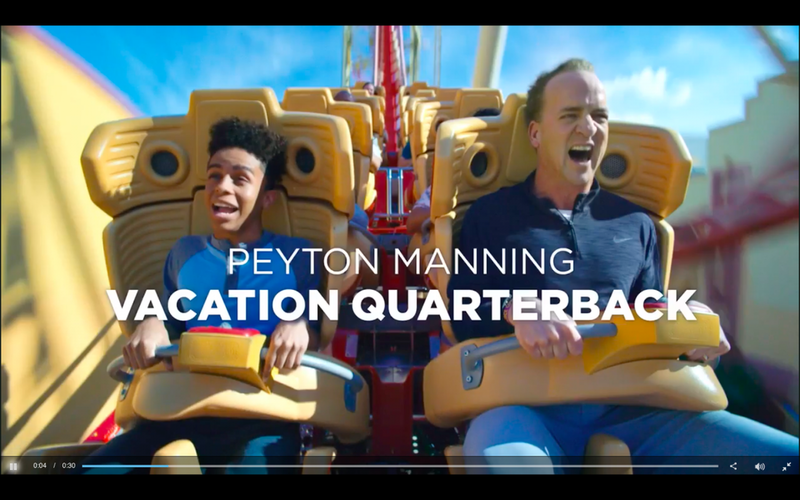 For example, Universal Studios’ 2018 Super Bowl advertisement featured former NFL quarterback Peyton Manning enjoying a theme park. About half of males (49%) say both technology and sports advertisements are among their favorite. Given these preferences, sports and technology companies tend to create advertisements that appeal more to males. In 2017, 74% of males and 59% of females watched the Super Bowl(link is external). Because more men than women tend to watch it, advertisements during the game are geared more toward men and their preferences, especially sports advertisements. 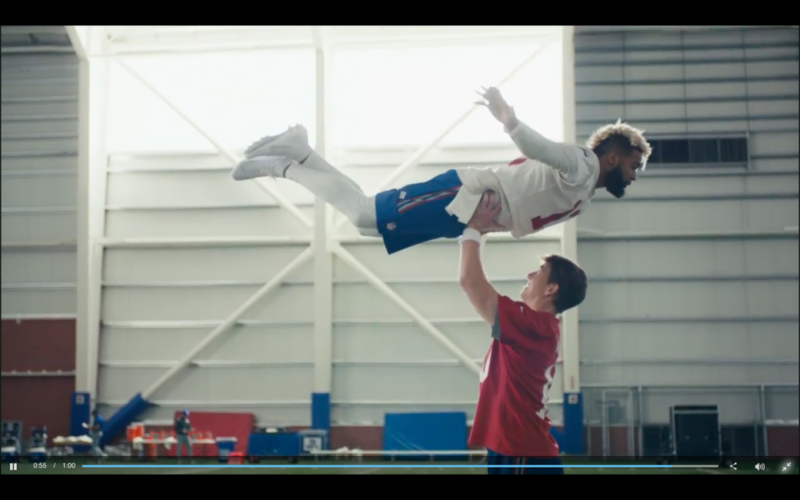 For example, well-known New York Giants players Eli Manning and Odell Beckham Jr. spoofed “Dirty Dancing” in an advertisement for the NFL. ​The commercial showed the two players dancing the final scene of “Dirty Dancing,” an homage to the NFL lifting its ban on dancing after touchdowns(link is external) during the 2017 season. This advertisement is more likely to appeal to men – who make up 55% of the NFL’s viewership(link is external) – because that group is statistically more likely to know about players and recent rule changes. Women, however, are increasingly watching the NFL, so advertisements like this one can appeal to both genders. Men also prefer technology advertisements. Because men like technology advertisements, they likely enjoyed Sprint’s Super Bowl advertisement more than women. ​The advertisement shows a room of robots making fun of their creator for still using Verizon. The creator switches to Sprint because his “coworkers were making fun of” him – slapstick humor Albertson says males enjoy. ​Women enjoy fashion/beauty (69%) and travel/leisure advertisements (54%). Fashion/beauty advertisements provide inspiration for many women. Fashion and beauty advertisements appeal to women because women are passionate about those subjects and strive to be like the people featured in these advertisements. Women’s clothing company Fabletics(link is external), for example, appeals to women’s interest in fashion on Facebook. ​Of the more than 10,000 interactions on the Fabletics Facebook advertisement, not a single person put the “angry” or “sad” reaction. ​Travel advertisements are also enjoyable to women because they provide an escape from everyday life. ​“Good travel and leisure advertisements transport people to a place or a mindset, so there’s a level of aspiration and escape from day-to-day life,” said Ancevic, who also served as the global creative director for the Four Seasons Hotels & Resorts brand for 7 years. 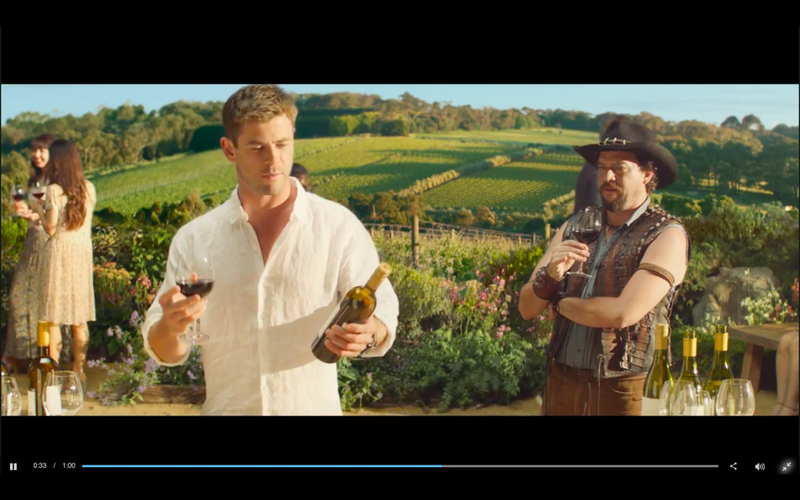 For example, Tourism Australia’s 2018 Super Bowl advertisement featured Chris Hemsworth and Danny McBride traveling around Australia. ​The advertisement displays beautiful scenes of Australia and provides the level of escape Ancevic mentioned. ​Overall, the majority of consumers prefer TV advertisements despite the increase in popularity of other mediums. ​Among consumers who identify online or social media as their preferred advertising medium, the most (36%) prefer Facebook advertisements. Although most consumers prefer TV advertisements, some companies, such as software and app developer MojoTech(link is external), find the most success advertising on Facebook. 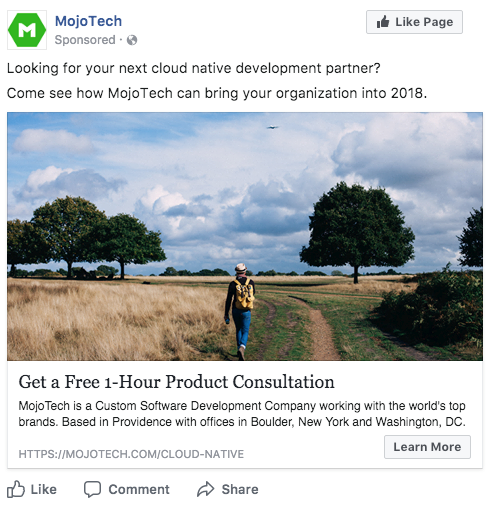 With Facebook, MojoTech can target advertisements toward an audience who is more likely to be interested in the company’s services. These consumers are more likely to respond to an advertisement that is more relevant to them. Some consumers also respond to other types of digital advertisements. ​​For example, smartphone repair company uBreakiFix (link is external) sees the best results from digital advertising, especially on Google. Advertising online helps uBreakiFix reach consumers who are seeking an immediate service. Digital advertising has its limits. The fewest number of respondents (2%) prefer retargeted advertisements, or advertisements from a site they recently visited. People dislike retargeted advertisements because they find them invasive to their privacy. Retargeted advertisements are newer forms of advertisements, so consumers find them irritating and invasive. 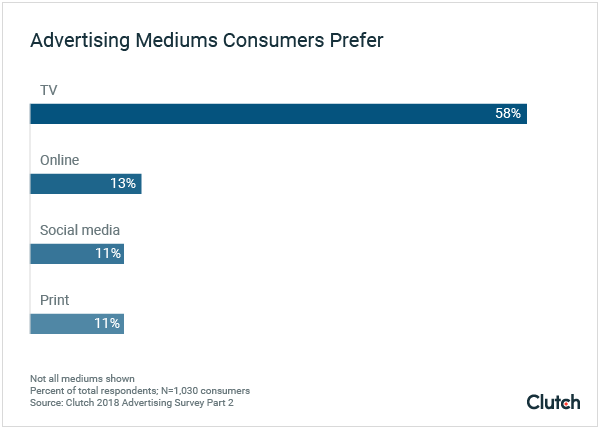 Despite the increasing prevalence of online and social media advertisements, just 13 and 11 percent of consumers prefer those mediums, respectively. For those combined 24 percent of consumers who prefer online or social media advertising, the most prefer Facebook advertising. The survey shows that advertisements – especially traditional – still influence consumers, and companies need to advertise on a variety of mediums to reach the most consumers possible. Preferences Shape How Consumers Engage With AdvertisementsAdvertisements appeal to consumers’ emotions and senses; they have the power to make consumers laugh, crave food, or want to see the world. Advertisements connect with consumers. Every consumer’s taste in advertising is different. If done correctly, an advertisement can successfully appeal to its target audience, which, in turn, will lead to a purchase and repeat, happy customers. About 45% of respondents are male; 55% are female. About 28% of respondents are aged 18 to 34, 40% are 35 to 54, and 32% are 55 and older. Nearly half of respondents (47%) have a household income of less than $49,999, 36% $50,000 to $99,999, and 17% over $100,000. ​​Kristen is a content writer and marketer at Clutch, a B2B research firm in the heart of Washington, D.C. Connect with her on LinkedIn, or reach out with any questions, comments, or concerns at kristen@clutch.co.